We know that you will probably have many questions when you are trying to find the right scooter, wheelchair, stairlift or any other mobility product for your needs. Easy Mobility Services are here to provided advice and guidance to our customers so that they can make an informed decision when buying any of our mobility products. 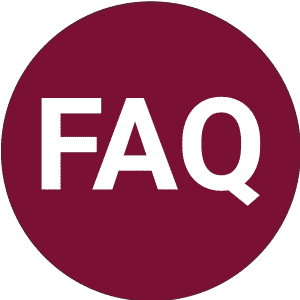 Below are some frequently asked questions. If you have any questions that are not answered below please feel free to contact us today and one of our friendly team will be more than happy to give you the advice and guidance you need. Q: Do you hire wheelchairs? A: Yes we do, either on a daily or weekly rate dependant on time period. Please feel free to contact your closest mobility shop for further information. Q: How long do I need to charge my battery for? A: We normally recommend an 8-10 hour charge after every use, regardless of how long the batteries were used for. The only time this would be different is if you were to have a lithium-ion battery, in which case, just like a phone, you need to run the battery down before charging rather than topping up. Q: How fast am I allowed to go on pavements in my mobility scooter? A: Regardless of what type of mobility scooter you have, you should always limit the speed to 4mph or less. Q: Am I allowed to drive my scooter on the road? A: Only a class 3 mobility scooter which can travel at 8mph can legally travel on the road. This will need to be taxed and have fully functioning lights and indicators. Q: Should I insure my mobility product? A: It is always recommended to ensure your mobility scooter whether it is a lightweight travel scooter or a large 8mph scooter. Insurance is compulsory for any scooter that is road legal. If you are interested in purchasing insurance, please feel free to contact us and we’ll be happy to advise you on the best options available. Q: How do I qualify for Motability? A: Motability is a government grant scheme which utilises the individuals Disability Living Allowance (DLA), Personal Independence Payment (PIP) or Veterans UK War Pensions Scheme. In order to be accepted onto the Mobility Scheme, you will need to be awarded the higher rate mobility component of your allowance. For further information and advice please contact any one of our mobility shops. Q: Do you repair and service mobility equipment? A: Yes we do, we have fully trained, experienced engineers covering Essex and the surrounding areas to carry out repairs and servicing for scooters and wheelchairs. Our qualified engineers are also able to carry out stairlift servicing together with any repairs. As much as possible we aim to carry out the wheelchair and scooter service work onsite so there is minimal inconvenience and disruption for our customer. Q: How often should I get my scooter/powered wheelchair serviced? A: Dependant on the use we normally suggest servicing on an annual basis however in some circumstances where products are being used extremely regularly it could be more often. Q: Do you carry out home demonstration? A: Yes we do, on most products, it is preferable and sometimes essential to make sure that the product chosen is suitable for the environment it’s aimed for. Trying a scooter or powered wheelchair in a showroom is a lot different to trying them in your home and the surrounding area, therefore we are always more than happy to bring the products to you rather than you come to us. Q: What is the freewheel lever on my scooter? A: The freewheel lever disengages the brake and therefore allows you to push the product, it’s important to remember that if the scooter is switched on whilst in free-wheel, it will not operate. This will be solved by turning the scooter off, engaging the brake and turning the scooter back on again. Freewheel levers are normally located at the rear of your scooter or by the motors of your powered wheelchair. Providing our customers with a high level of customer service is what we value greatly at Easy Mobility Services. If you have not found the answer to your question here, please feel free to contact us or call into one of our mobility shops in Essex and talk to one of our friendly and knowledgeable team. We will be happy to answer any questions you have about using any of the mobility products we provide.